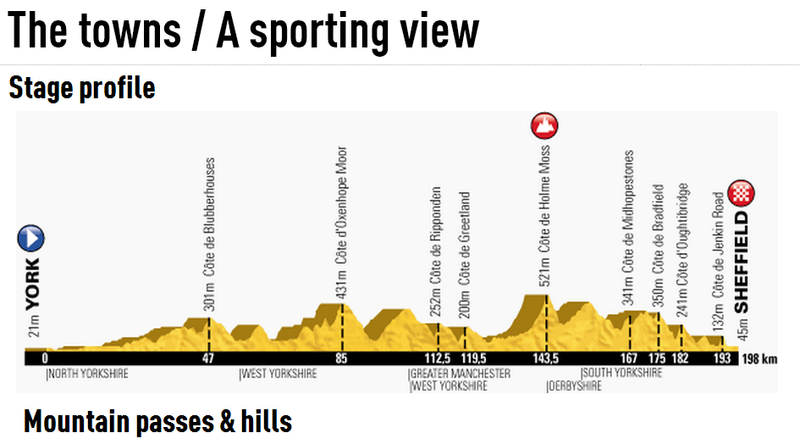 My inspiration for my latest RDEZ profile comes from the 2014 Tour de France - Stage 2. 198km squashed, crammed and jam packed into one 40 minute Spinning® ride. As with all my Race Day rides there is a warm up segment before the "race" where I make sure everyone knows the rules of the road. I do this to give everyone time to get their muscles primed for the race, but also to make sure we have a safe experience. About resistance loading. Hills should not be as heavy as they might be for a normal strength or interval ride because you're going to be doing all these hills at a higher cadence (>80rpm). If you make these hills too steep and try to push to these faster cadences you run the risk of injury. I used two remixes that you'll need to get from alternate music sources such as YouTube. Here are the two remixes. Finally, if you don't follow my Facebook page you might not have seen this, but it's something I'm pretty excited about...I just designed and ordered my first custom cycling jersey. Check out the design sketches. I can't wait to get my first one in.